CAPE CANAVERAL — With its new homeport in renovated NASA space shuttle hangars off in the distance, the Air Force’s X-37 mini spaceplane will be launched from Cape Canaveral on May 6 for its fourth journey into orbit. 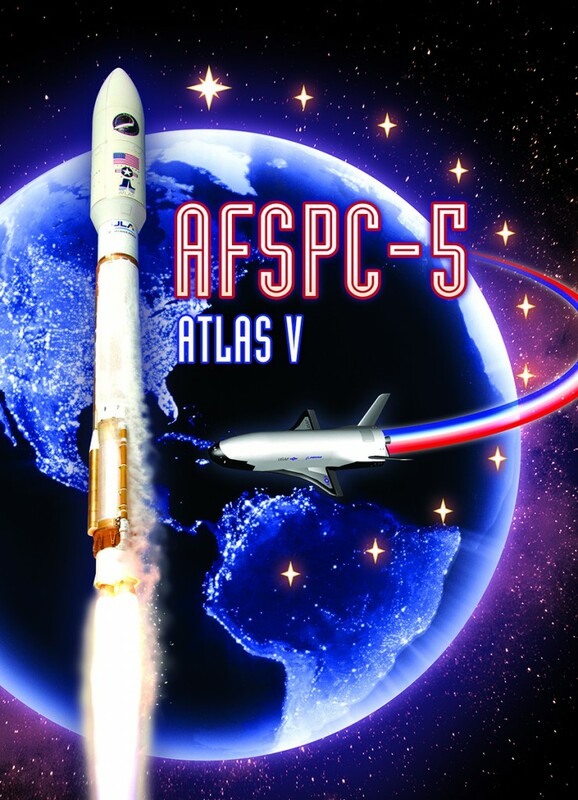 The Orbital Test Vehicle will be the primary payload aboard the next United Launch Alliance Atlas 5 rocket, the 54th Atlas 5 and ULA’s 96th mission overall. 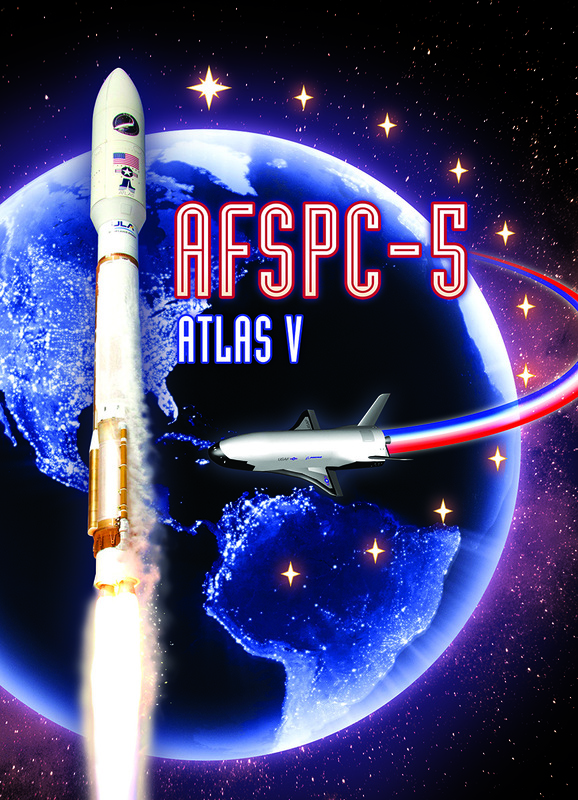 The launch has a codename AFSPC 5 for the Air Force Space Command flight No. 5. 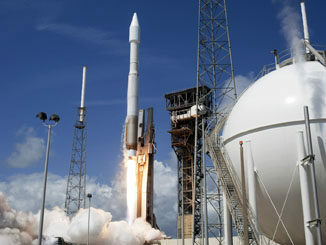 Liftoff is targeted some time between 9 a.m. and 1 p.m. EDT (1300-1700 GMT). Stacking of the two-stage launcher began today inside the Vertical Integration Facility at Complex 41. 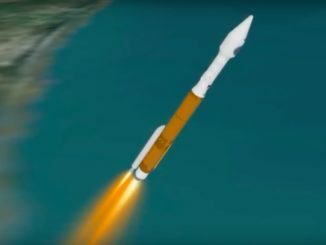 The rocket will fly in its 501 configuration, the 6th flight of its type, that features a five-meter nose cone, no solid boosters and a single engine on the Centaur upper stage. Majestically rising off the launch pad on 860,000 pounds of the thrust, the 196-foot-tall rocket will be powered by the RD AMROSS RD-180 main engine for the first four-and-a-half minutes of flight. The Centaur and its Aerojet Rocketdyne RL10 then takes over for a 13-minute burn that places the X-37 mini shuttle into low-Earth orbit. 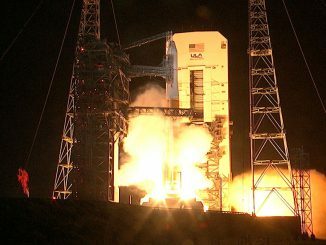 The Air Force won’t yet confirm which of the Boeing-built spaceplanes will be making the voyage. The first craft returned in October from a 675-day mission in space following a 224 day trek in 2010. OTV No. 2 spent 469 days in space in 2011-2012 on its only mission so far. “The program selects the Orbital Test Vehicle for each activity based upon the experiment objectives,” said Capt. Chris Hoyler, an Air Force spokesperson. While the first three X-37B missions touched down at Vandenberg Air Force Base in California, the Air Force has acknowledged it was looking at the potential of landing a flight at the Kennedy Space Center in Florida. “Upon completion of the preparations at KSC, the program will have two landing options, one at KSC and one at Vandenberg Air Force Base,” Hoyler said. Boeing announced in January 2014 and NASA confirmed in October that it was turning over two of the OPF bays to the Air Force. The OPFs were where the NASA space shuttles underwent post-flight deservicing and were readied for the next mission. “NASA’s Kennedy Space Center in Florida has entered into an agreement with the U.S. Air Force’s X-37B Program for use of the center’s Orbiter Processing Facility Bays 1 and 2 to process the X-37B Orbital Test Vehicle for launch,” a NASA press release said. “Investments will be made to convert the former space shuttle facility, OPF-1, to a facility that would enable the U.S. Air Force to efficiently land, recover, refurbish and re-launch the X-37B Orbital Test Vehicle,” Boeing said in its press release on Jan. 3, 2014. NASA’s space shuttles landed in Florida 78 times, 20 in darkness.